Learning technologies come in all kinds of different forms, and there are so many options sometimes it is difficult to determine what would be useful in your class or not. 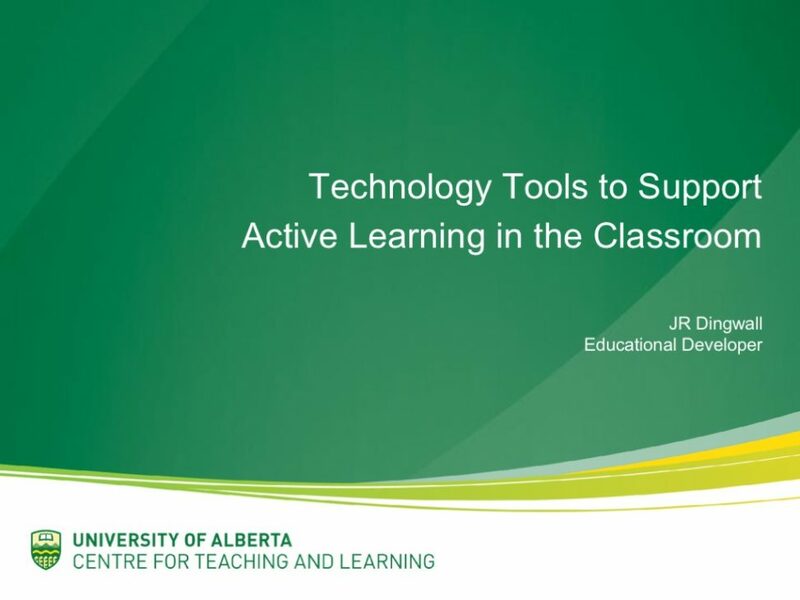 In this workshop we will get hands on experience with learning technologies that support active learning in the classroom from student response systems, to backchanneling, to collaborative writing tools. We will examine technologies that enable a variety of instructional strategies and compare technologies that enable similar strategies.